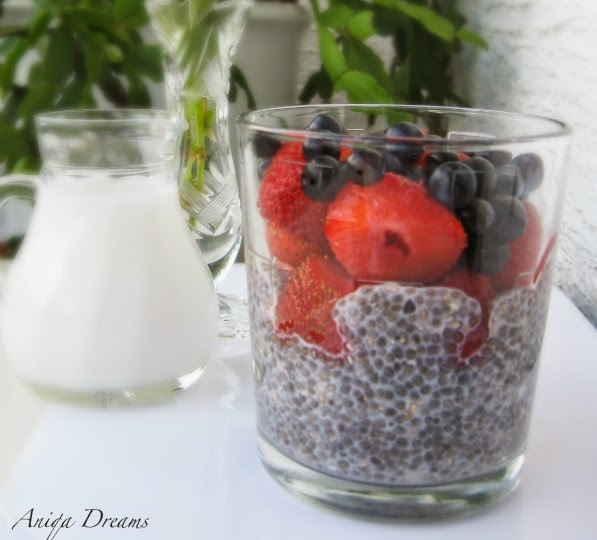 This is a quick recipe I posted on my blog for Chia Seed Pudding. 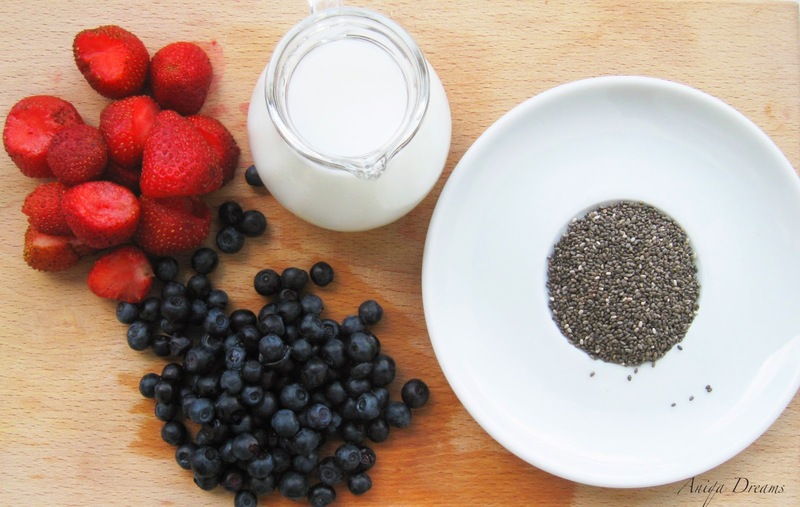 I know there are a lot of you who are familiar with chia, but there are still a lot of people out there who don't know how to use this healthy food. 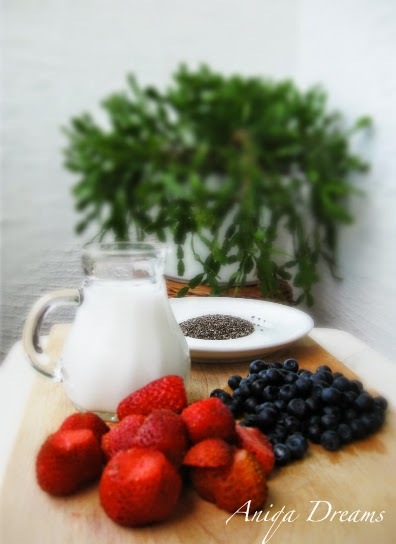 Put a few teaspoons of chia seeds in a glass of milk. I don’t use the measurement as I figured the best way to do it is by eye. Mix the ingredients with the fork and put the glass in the fridge. Some people only wait for a few minutes, but I prefer to leave the mixture in the fridge for an hour or two. In the meantime I normally check on it to make sure it is getting thicker (just like a pudding) and sometimes I add more chia seeds and mix the ingredients again. Once ready, I add some fruit and it is done!